Maine-ly Lobster > Branding and Marketing Maine Lobster > The Secret to Selling Maine Lobster? It’s in The Story. The Secret to Selling Maine Lobster? It’s in The Story. “How many did you catch today?” A voice with thick New York accent called down to my father and me from the top of the wharf as we stood aboard the boat, crating and weighing the lobsters from that day’s fishing. “Is it dangerous out there?” enquired his female companion. My father would give me a knowing smile. Questions from ‘flatlanders’ were a frequent and often entertaining addition to the process of unloading our catch during the summers when I worked as sternman with my Dad. We didn’t get many tourists in Cutler, but those who came usually found their way onto the wharf, eager to strike up a conversation. Oblivious to a lobsterman’s desire for discretion, they would ask about the quantity of traps we fished and the volume of lobsters we caught. Naïve to the workings of the industry, they would enquire about how many weeks we’d been out at sea or whether we took all our traps up at night. Some questions were indiscrete, others were amusing and many were mundane, but they all pointed toward an intense eagerness to learn the story behind Maine’s most famous fishing industry. Like many girls along the coast of Downeast Maine, I grew up with my name on the side of my father’s lobster boat. Unlike most girls at the time, I also worked on that boat. I stuffed bait bags and banded lobster every summer and school break from the age of 10 until I graduated from college. It gave me an intimate knowledge of the art of lobster fishing and also insight into how fascinated people are about the industry. I carried this knowledge with me when I left rural Maine and embarked on a career in advertising. My city coworkers and friends showed the same fascination with my lobstering heritage as did the tourists on the docks of Cutler. Over the years I have served many friends freshly Fed Exed Maine lobster. While they always delighted in such a delicious dinner, it was clear to me that what really made the meal special to them was the idea of eating seafood by someone with a direct link to the source. In Maine, lobstering is such a way of life that we take for granted the intimate connection we have with our environment. Beyond Maine, especially in city centers constructed of concrete and steel, the concept of wrestling one’s living from a wild and unforgiving ocean is exotic and intriguing, as is the idea that one’s work day can be dictated by the wind and the tides. The vast majority of Americans have never met a lobsterman. Few have had the experience of harvesting their dinner. As the world becomes increasingly globalized and urban, so does our desire for a provenance story – a story of the craft, authenticity, and personality of the place and people behind the things we buy. Despite a rebounding economy, some of America’s most major food companies – from Campbell’s to Kraft – are losing sales while smaller businesses, with a more authentic product and the marketing savvy to tell the story behind that product, are growing by leaps and bounds. Campbell Soup Company’s market share slumped by 6.6% between 2005 and 2014. Amy’s Kitchen, a family-run, organic soup company, has more than doubled its market share in the same period. General Mills was so keen to add an authentic, organic food company to its existing repertoire of brands, which include Betty Crocker and Cheerios, it forked out $820 million in cash for Annie’s Homegrown. Berkeley-based Annie’s has spent years focusing its marketing materials on the story behind its food, from the farm on which the products are grown sustainably to the health benefits of the ingredients. The secret to selling Maine lobster is all in the story. Yet telling the story behind Maine lobster to date has been done at an individual level. Luke Holden’s urban lobster eateries, Luke’s Lobsters, don’t just sell lobster to city-slickers, they give consumers a “Downeast feel in the downtown hustle.” Each location has lobster gear and symbols of the industry’s sustainability practices, like gauges and gear vents, on display. In 2012, Dorr Lobster Co. began shipping each of its lobsters with a tag which allows the buyer to trace the source of his or her lobster back to the fisherman who caught it. 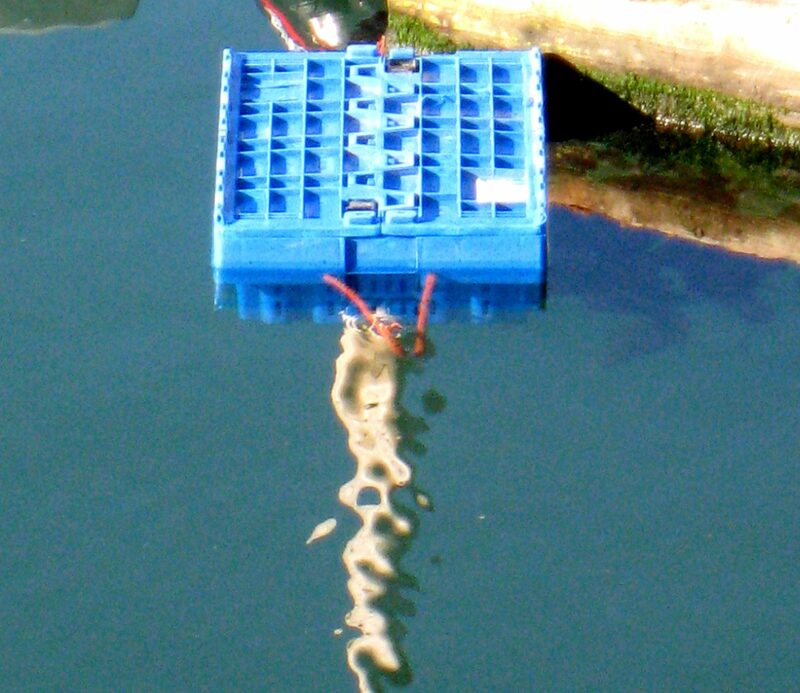 I have been blogging about the Maine lobster industry since 2008. 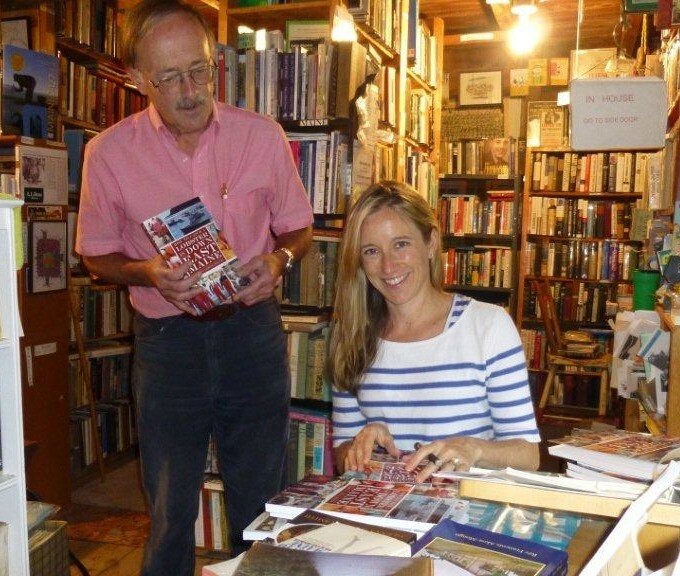 I even devoted a chapter of the book I wrote on Maine lobstering to ‘Frequently Asked Questions,’ including the “Five Questions You Should Never Ask A Lobster Fisherman” inspired by all the inquiries I’ve received over the years! Now, the Maine lobster story is about to be told on a broader stage. Weber Shandwick, the PR firm hired to assist the MLMC in marketing Maine lobster, will give the marketing budget and message a focus: on the Northeast region, on restaurants as large-quantity buyers and on new shell lobster as a desirable point of difference with Canadian lobster. But what I was most pleased to see in the marketing strategy shared at the Maine Fishermen’s Forum was Weber Shandwick’s plan to shine a light on the ‘built-in benefits’ of Maine lobster. Telling a provenance story which draws on lobstermen as spokespeople and works with them to broadcast the message is in sync with what consumers are looking for: real people doing real work to produce an authentic food product. As David Cousens said so well, “We’ve got a great story to tell. We need to get that story out there because that story sells.” As a former lobster fisherman who has devoted her adult career to advertising and brand-building, I am extremely excited to see the Maine lobster brand professionally marketed to America and beyond. 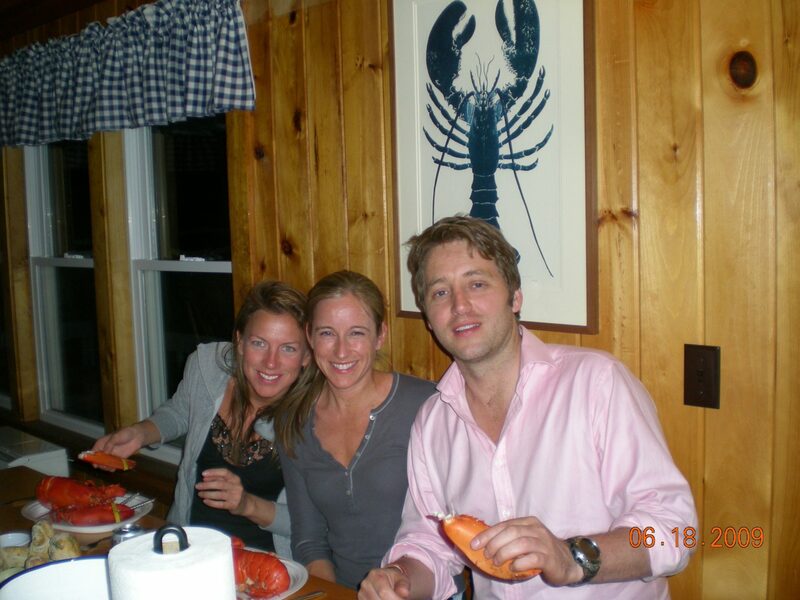 Enjoying Maine lobster with my husband and a friend from London.